Yukon's Cosmic "Call of the Wild!" Be enchanted and amazed by the clarity of the Yukon sky. Enjoy panoramic views, as you take a personalized cruise through the Milky Way Galaxy. These shows are entertaining, and suitable for the most novice of the group. Concepts are demystified. There’ll be no confusion. Whether you are into space or not, you’ll enjoy the experience! 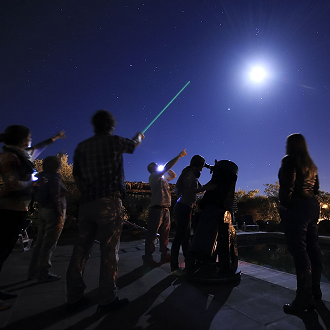 DISCOVER THE WONDERS OF OUR UNIVERSE WITH AN EXPERIENCED ASTRONOMER AS YOUR GUIDE.